I was originally going to post this last but I ended up crashing as soon as I entered my house. That should tell you something about the concert. We took the train from Waukegan, IL(I reside in Kenosha) and it was a pretty smooth train ride. It being two years since I saw them, I was really happy when I heard that they were touring America again. The night started out slow. We ended up eating lunch/dinner at Metra and I was waiting in anticipation to get there. We caught a cab about 4:20pm and headed to the House of Blues. It was about $8 to get to the House of Blues, but the cab driver ended up passing it, though as Keyung pointed out "I don't exactly see how he passed the House of Blues since there's a giant blue sign", and so we didn't tip him. We got there about 4:30, and the line went a bit faster than I thought it would. I was kind of bummed because the line was all the way down the block! I did notice however that this year they did not check our bags, and they didn't say anything against taking photos. I was pretty happy with this because last time we couldn't get any photos at all. The venue was packing up fast and I ended up on Die's side of the stage. The set up on where the band members were are usually the same, but had a great spot for photos. Sadly, all I had with me was my Iphone 5 but I had enough battery for it. I have to say though that this was such a great release from everything that has been going on. Everytime I go to their concerts I feel "exposed" in a way. The show didn't start however until 7:15pm. Their entrance was much more theatrical than last time and I loved their entrance. At the beginning, there was mosh pit that had began per the request of the previous band, and I was quite annoyed with it because two years ago, mosh pits were prohibited. I ended up elbowing the mosh pit back to the center but that didn't work out so much because I ended up being knocked down into the barricades platform but the girl next to me had traded me spots so I was standing on the barricade platform. Thank you girl with Ruki hairstyle.They used a lot of video effects during the concert. The haunting memories of the Hiroshima bombing, which brought me to tears when I saw it, and even more in tears when I saw the children. Kyo however made me concerned. It may have been a while since his surgery but I still was worried about him possibly damaging his vocal cords again. I'm sure he's faced worse though, and he has been performing to his full potential the whole tour beautifully. The show was a real eye opener, and amazing to see. During the concert, I looked around the crowd to see how others were reacting. I looked up to the balcony and noticed people headbanging so hard that they looked like they were going to fall off the balcony. I began to head bang myself but began feeling dizzy and I didn't want to lose my spot so I decided to just kind of sit and enjoy the show. When I attempted to get a photo of Shinya, Die decided to PHOTOBOMBED MY PHOTO! I'm not really complaining though. It did make me laugh and shake my head. Kyo's make up was amazing. 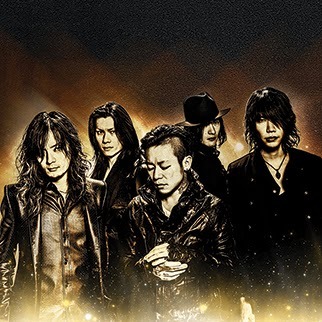 I have to say that I will never forget this show, especially after having water thrown on me by everyone except for Kyo.I felt fully charged during the show, but also as if my heart was ripped out. After the show I ended up heading to the merchandise booth. Sadly, all I had enough money for was a poster, but I'm happy with the outcome of that because the poster is a 2 sided poster, and the guy running the merchandise booth was really nice which I was happy about because last time, the guy was rude, and very inconsiderate. Dir En Grey, you never cease to amaze me and I hope that the next tour you come on my team and I could sit down and have an interview with you guys, hopefully including Kyo if he wish, because I would love to talk about the lyrics. Below is the set list for Chicago's show and if you want an amazing show, and I mean amazing show then check out the rest of Dir En Grey's tour dates below. Hopefully, they aren't sold out because if a father of a child is thanking him for bringing him to the show and was highly impressed, well then Dir En Grey is still going to climb. Also, my ears are still ringing....thank you guys <3.